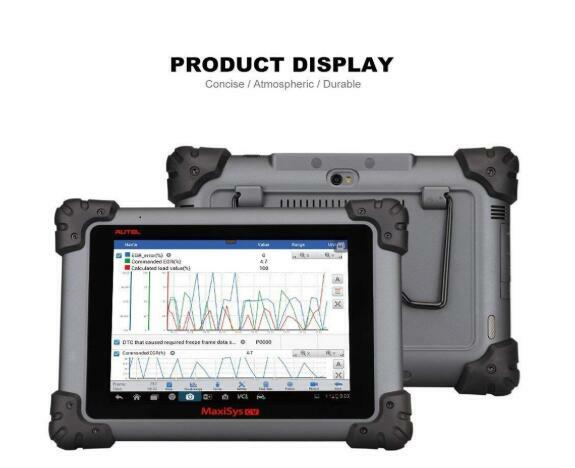 1.POWERFUL DIAGNOSIS & ANALYSIS: The Autel Maxisys MS908CV is especially made for working on Heavy Duty vehicles. 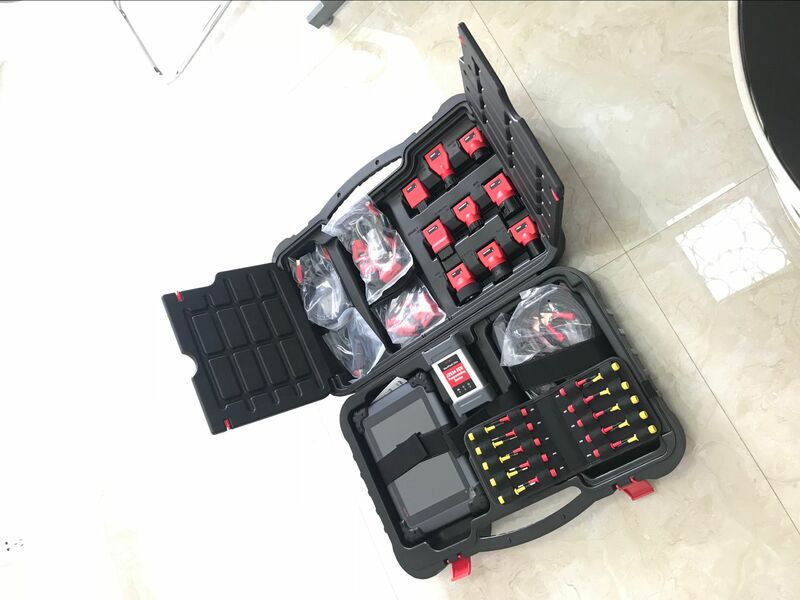 It contains a whole set of heavy duty vehicle connectors and provides access to all the commonly performed service functions: Oil Reset, EPB, Brake Bleeding, DPF & SCR, Immo & keys, Injector Throttle and other regular maintenance functions. 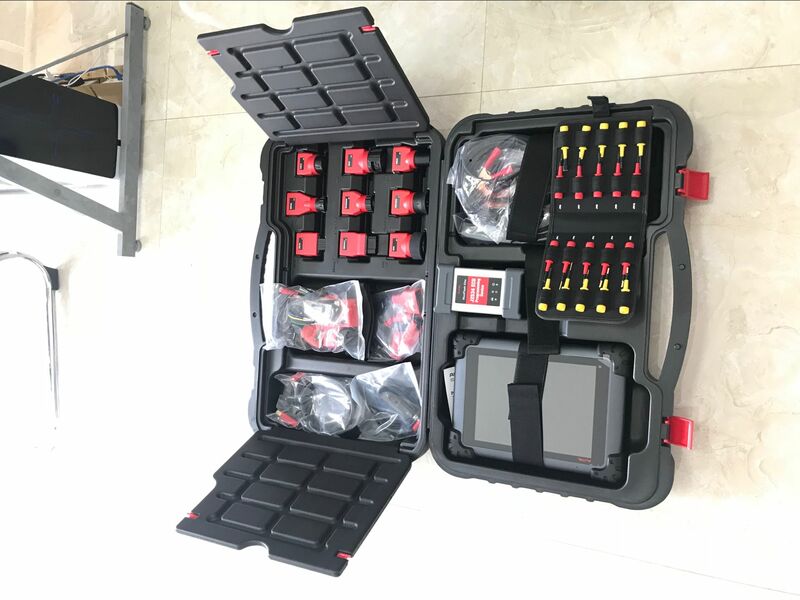 2.ADVANCED ECU CODING & PROGRAMMING: The complete MaxiSys MS908CV tool kit includes a compact sized MaxiFlash Elite which performs J2534 and J2534-2 pass-thru programming and provides Bluetooth VCI communication between the vehicle and the MaxiSys CV tablet. 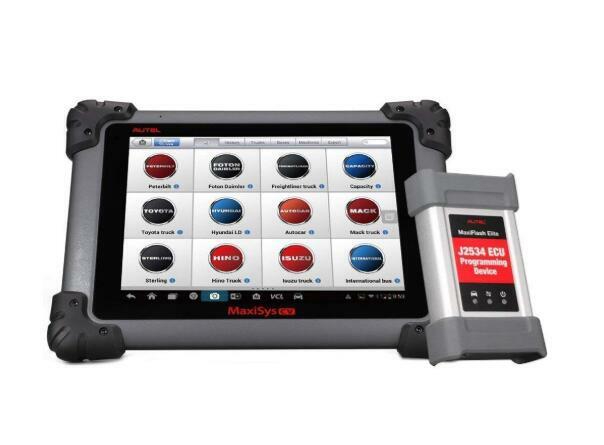 AUTO SCAN & AUTO VIN: The MaxiSys CV Diagnostics system features the latest VIN-based Auto VIN Scan function to identify CAN vehicles in just one touch, which allows the technician to quickly detect vehicle and scan all the diagnosable ECUs. 3.WIDE VEHICLE COVERAGE: Extensive vehicle coverage for more than 80 US, Asian and European commercial vehicles and industrial machine brands. 4.DISTINCTIVE FEATURES: The Customer Manager function allows you to create and edit customer accounts, helping you to save and organize all your customer and company vehicle information. 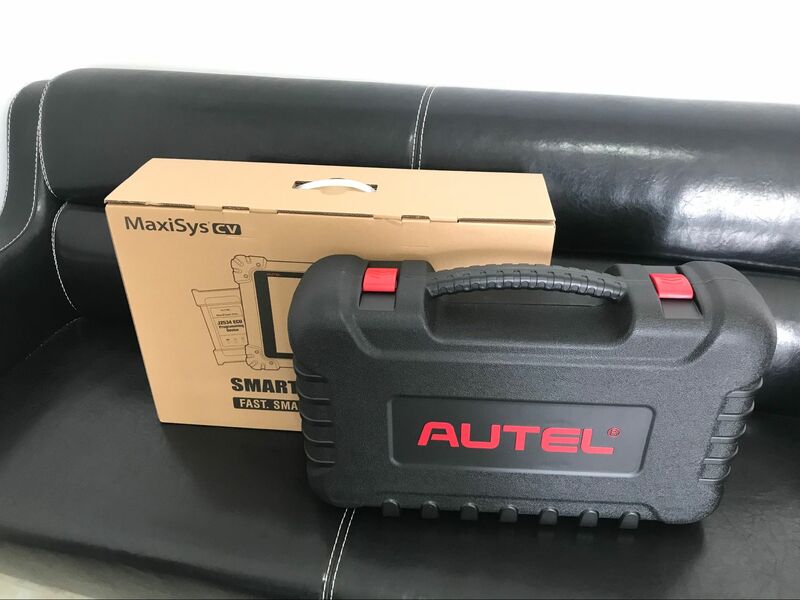 And we provide online tech support, you can find us at anytime you need assistance with your Autel Maxisys. 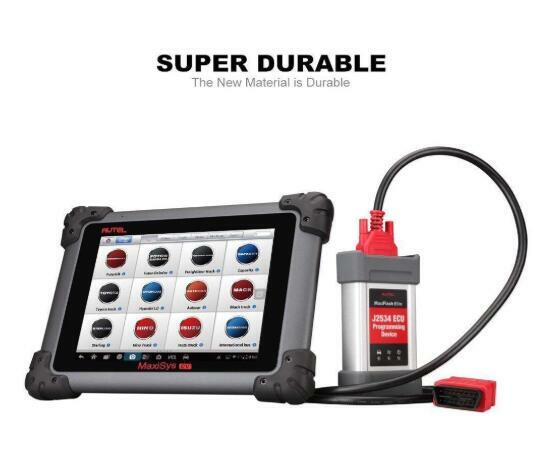 The Heavy Duty Truck Scanner performs enhanced diagnosis on the more commercial vehicle than most diagnostic tools. 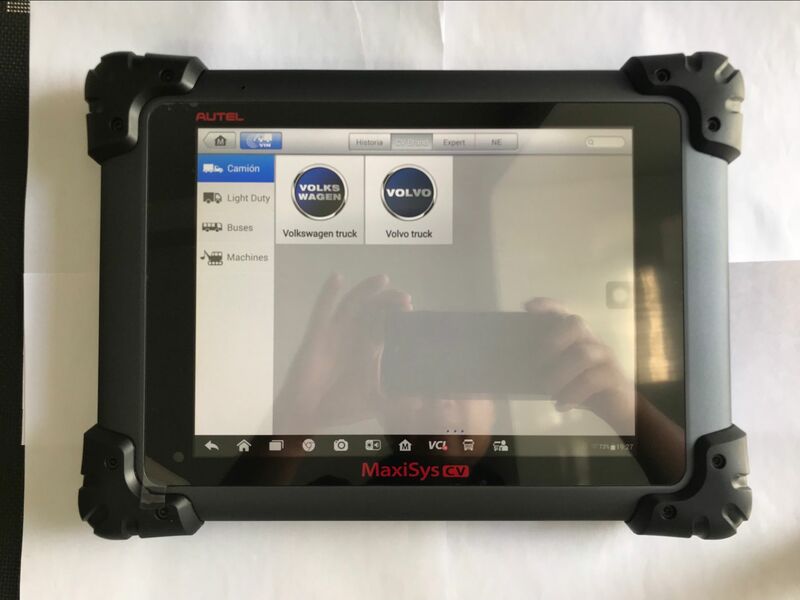 In fact, more than 80 commercial vehicles including heavy duty, medium duty, and light duty can be scanned using this great OBD2 Scanner.